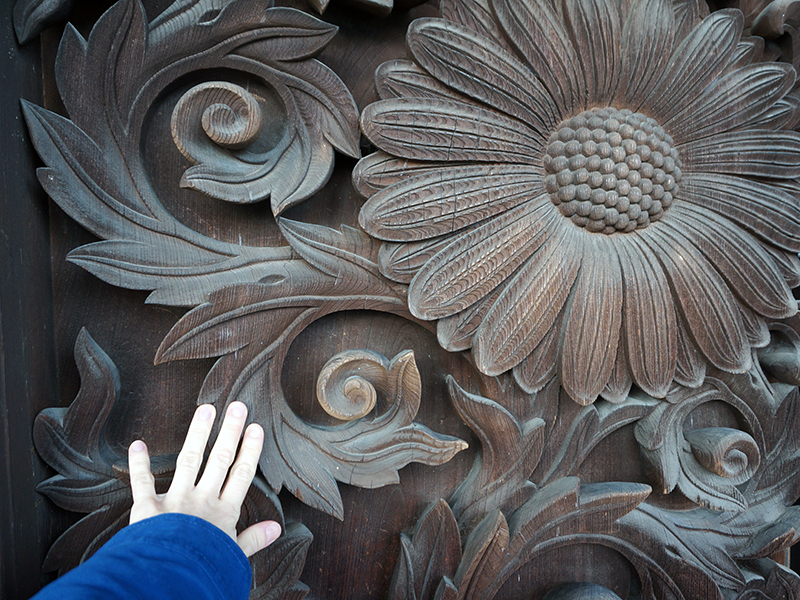 I stumbled across the beautifully carved gateway of Higashi Honganji while heading to JR Kyoto and was fascinated by the size of its wooden structures. It turned out that this massive complex is not just a tourist place but a working temple! 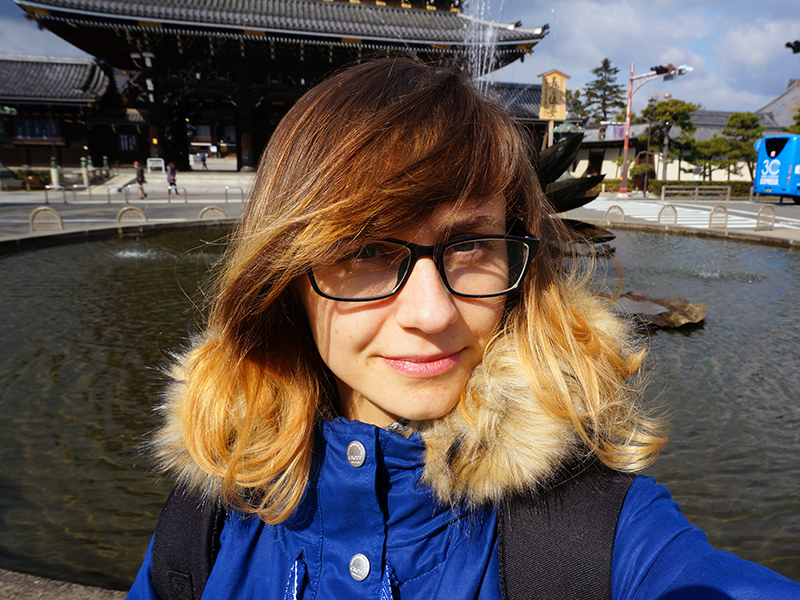 I was lucky enough to catch 10 minutes of a prayer service and feel the true spirit of Buddhist teaching. Surprisingly, there were not many other visitors at that time. 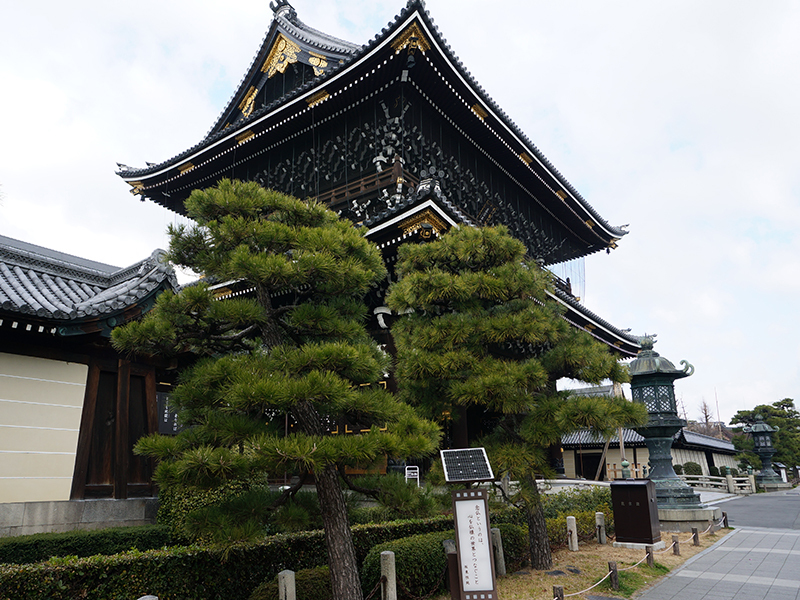 Higashi Honganji serves as the headquarter of the Jodo-Shin Buddhist sect founded by Shinran, one of the most prominent Japanese monks. The temple was built to promote his belief system and forced to change its location many times. 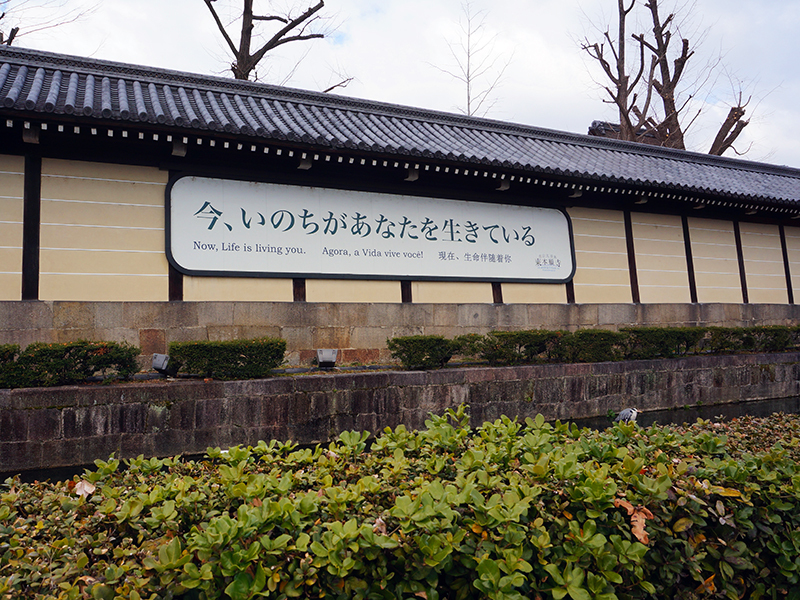 A philosophical sentence ‘Now, Life Is Living You’ written on the gates adds much atmosphere to the overall serene aura of the place. No doubts, truly spiritual place. Moreover, when I was looking at the pictures taken that day, I noticed a crane hopping at the moat right under the abovementioned epigram! 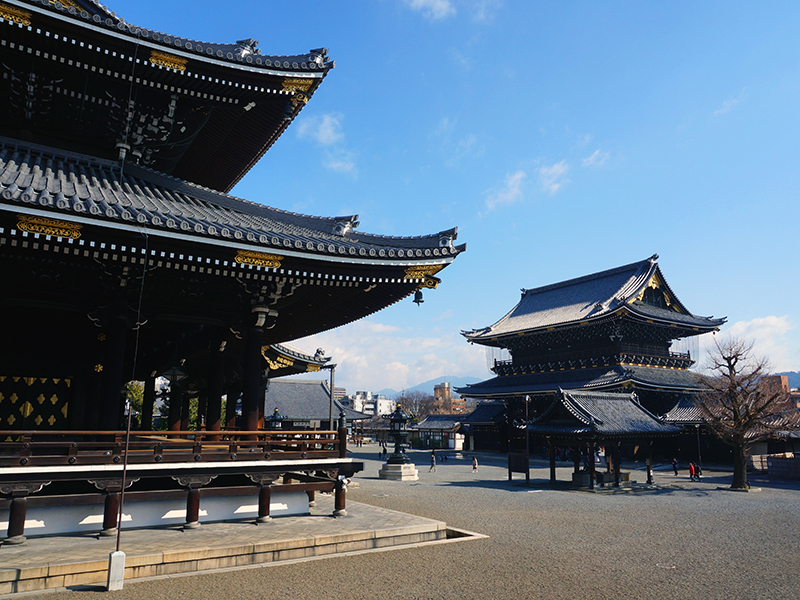 Higashi Honganji consists of multiple temples made by the beautiful dark timber poles. I wandered across the grounds marveling at the sturdiness of the pillars and soaring architectural lines. 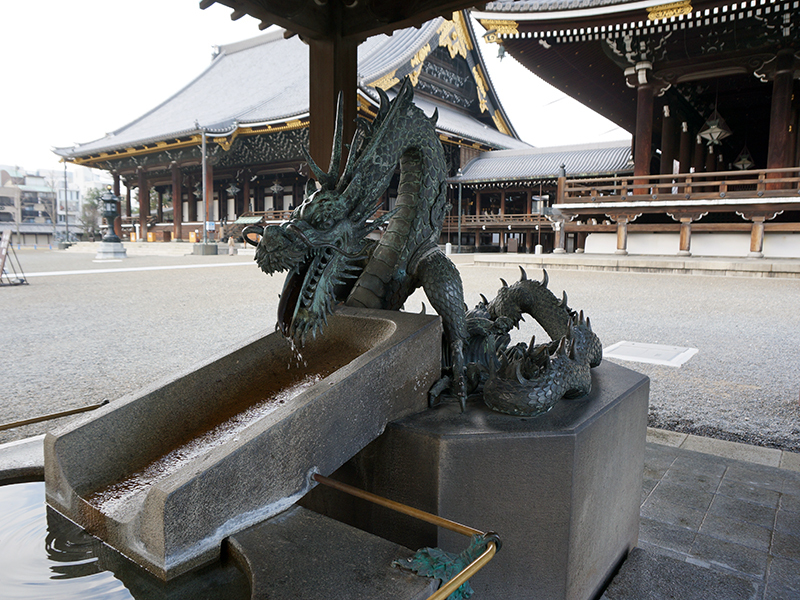 What a nice dragon fountain they put in the center of the courtyard! I bet I could take thousands of similar pictures touring the well-preserved grounds if I have not caught the sight of the main hall. Before climbing the stairs, I took off my shoes and put them into the plastic bag kindly provided by the temple management. Unfortunately, the sign written in several languages clearly stated that photograph is not allowed inside. Well, as Japanese people say, ‘shikatanai’ that means ‘it cannot be helped’! Walking along the broad wooden passages, I discovered several relics related to the history of the complex. 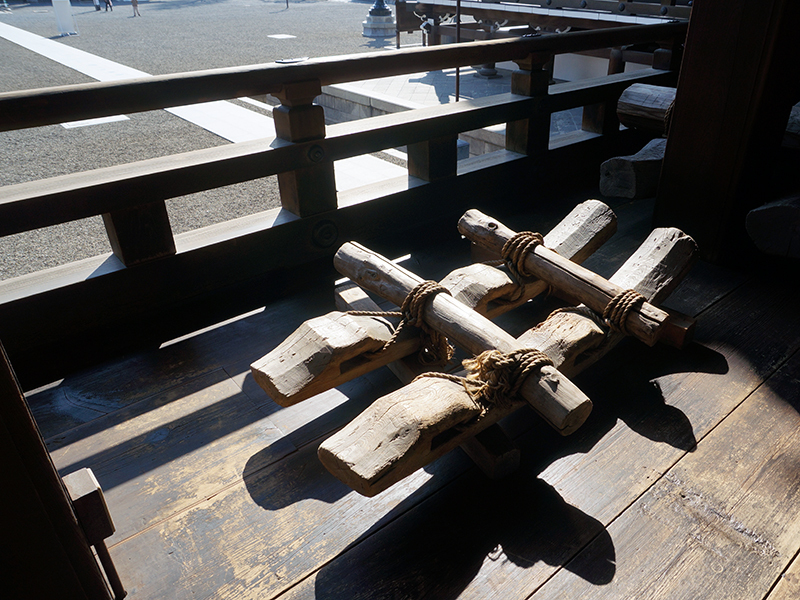 For example, there is an interesting display of a huge rope made of the Shinran worshippers’ hair nearly hundred years ago. Because of the high quality and solidity, it was used for the hanging of the enormous beams currently supporting the main hall’s framework. On the right there is wooden sledge also used for transportation of the timbers through the severe weather conditions. 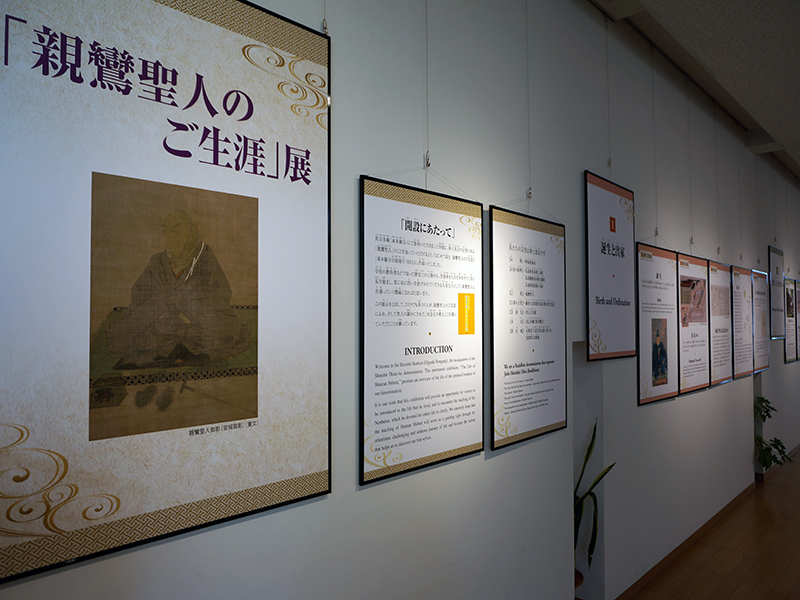 If you are interested, you can read the detailed history of Higashi Honganji in English alongside the reception hall. 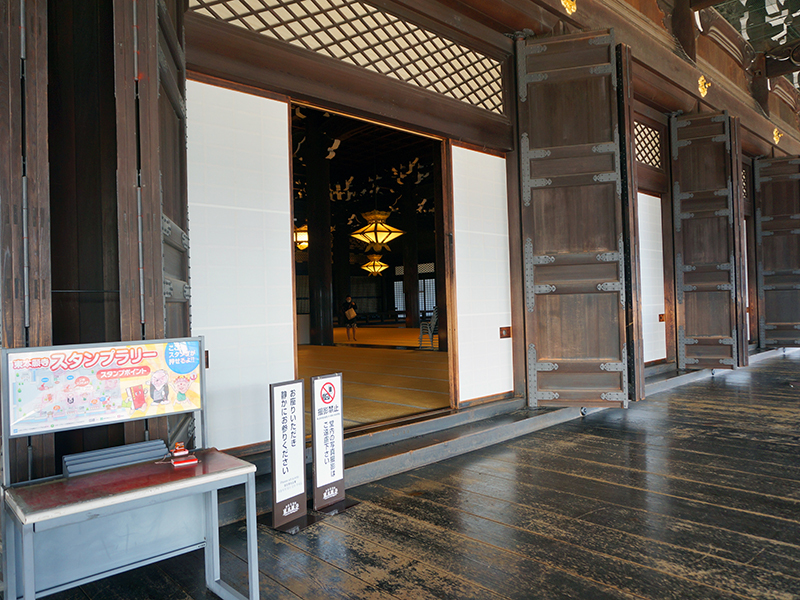 Undoubtedly, Higashi Honganji is one of the most interesting temples underestimated by foreign tourists. I strongly recommend you to come in the morning and wander across the well-preserved grounds before the busloads arrive to the main gateway. 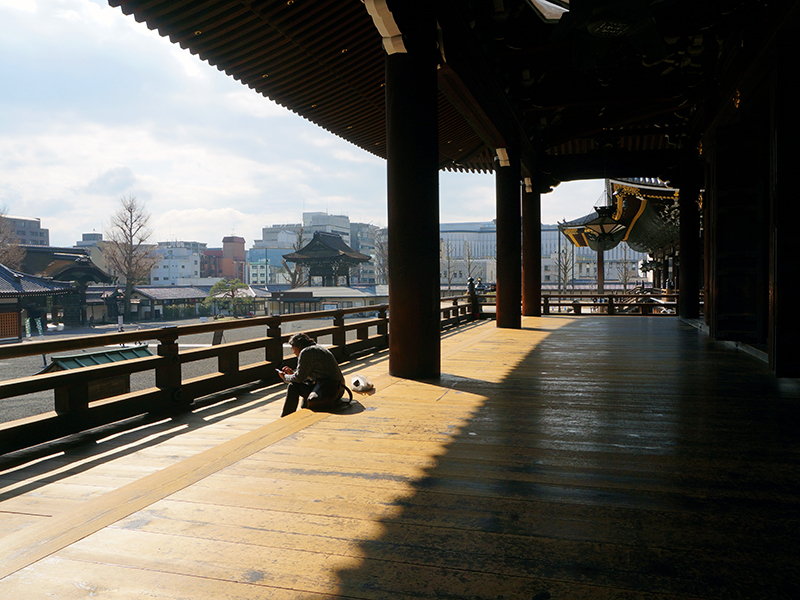 It could be a nice stopover from JR Kyoto if you have a couple of hours to spare. (Karasuma Subway) 1 min. walk from Karasuma Shichijō bus stop.